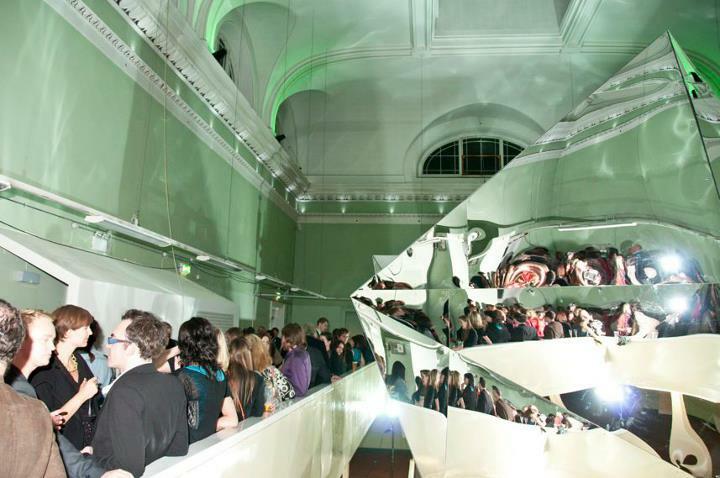 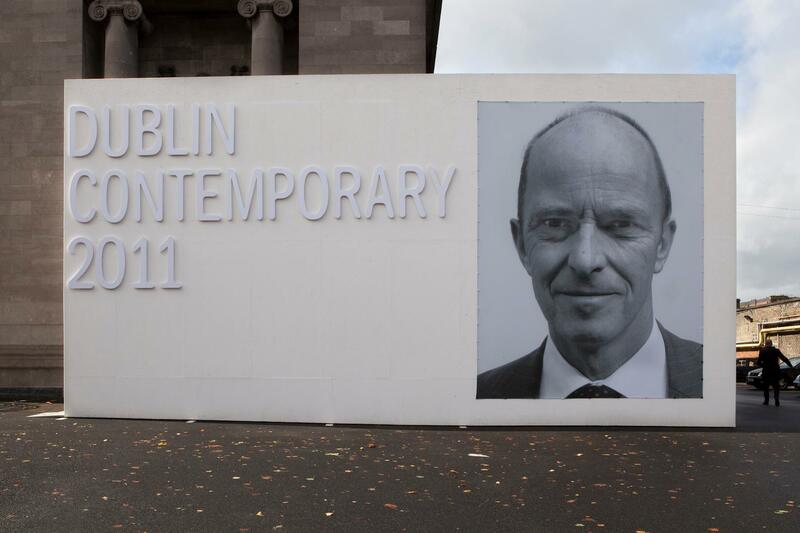 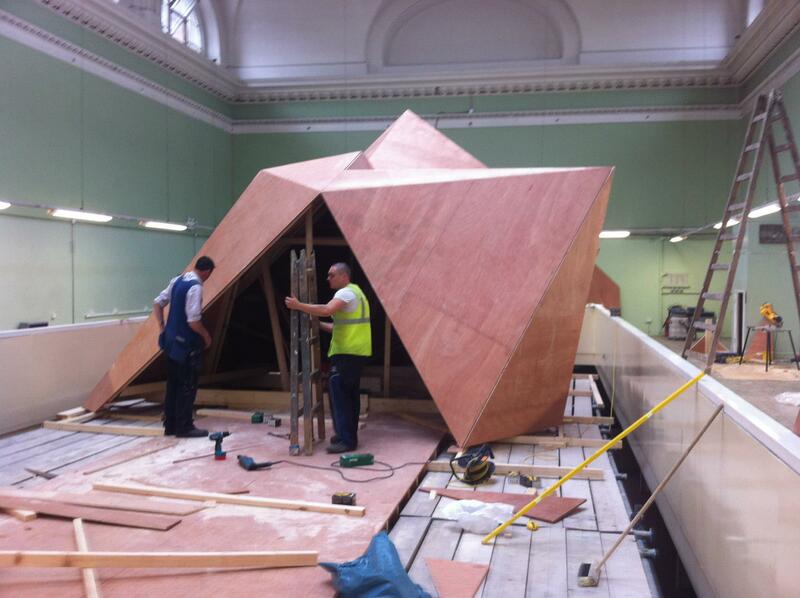 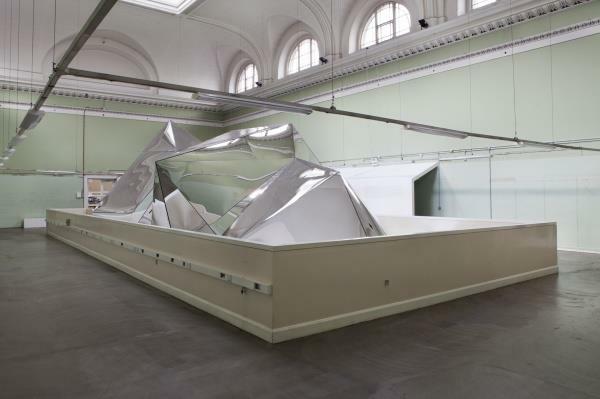 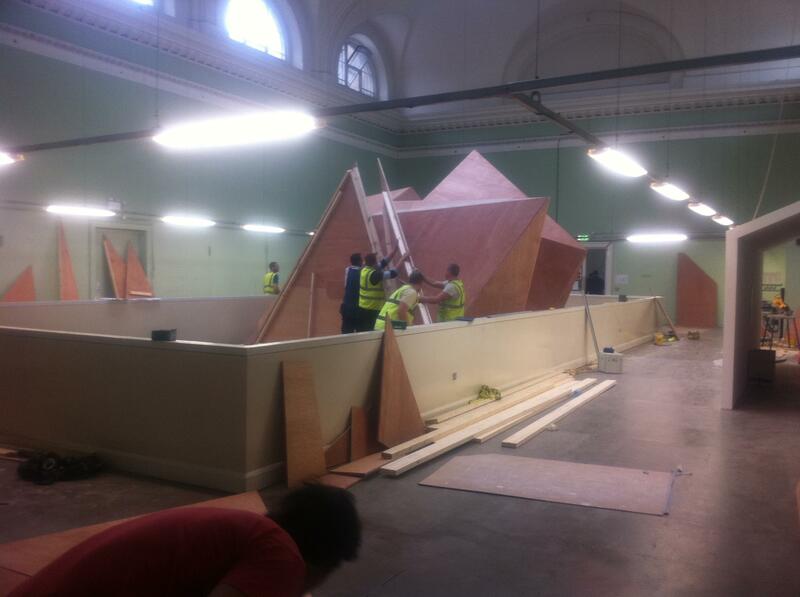 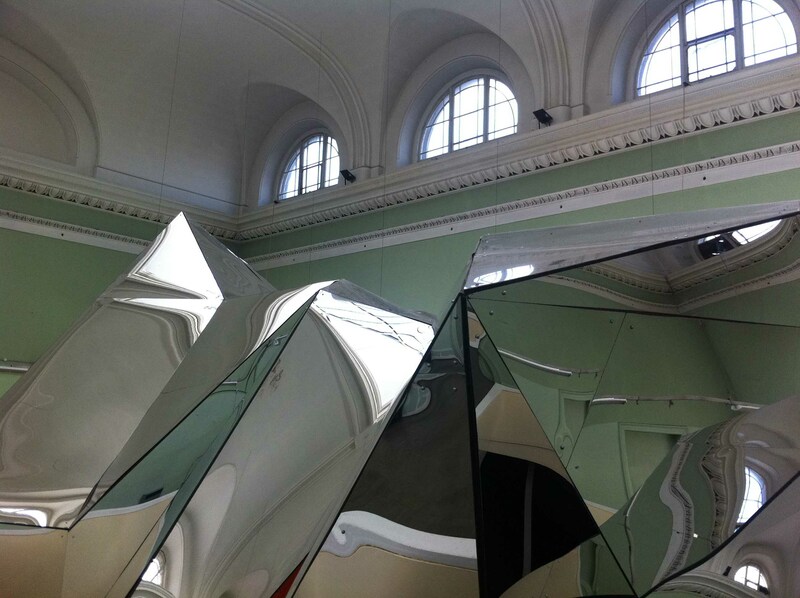 This mirrored structure was a late addition to the contemporary art exhibition in Dublin. 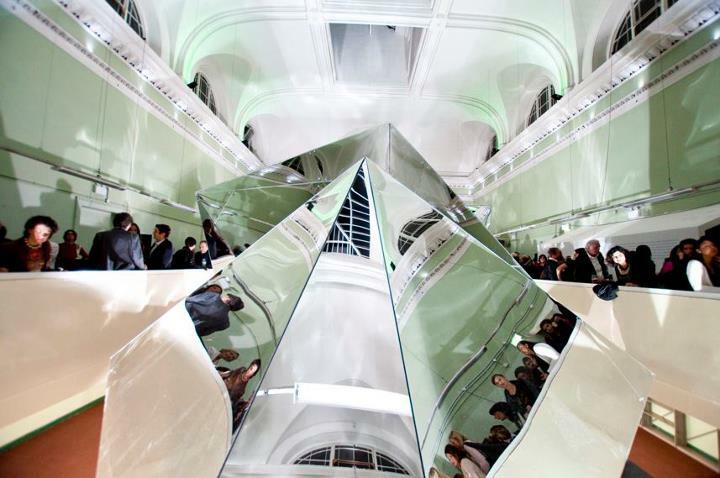 The form was sketched to maximise the experience of this triple height light filled atrium and the material choice was to be mirror to reflect and refract the high level light. 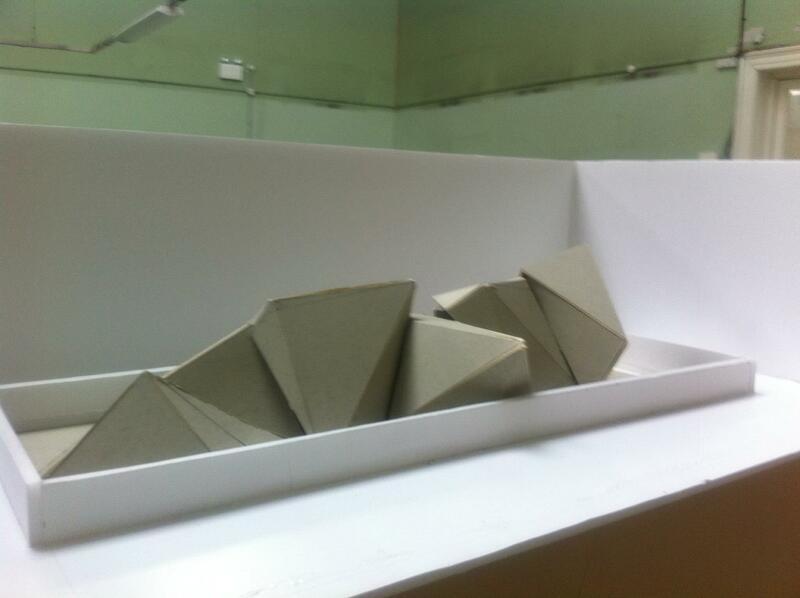 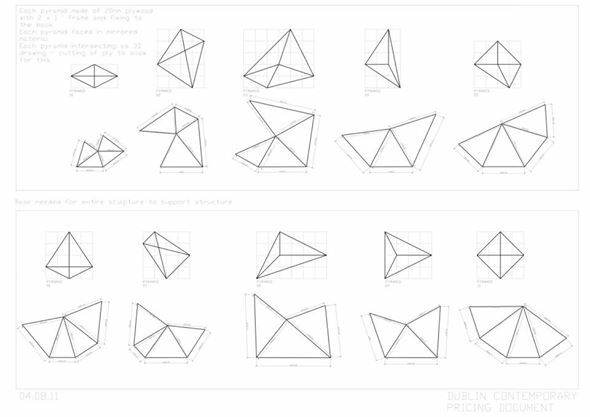 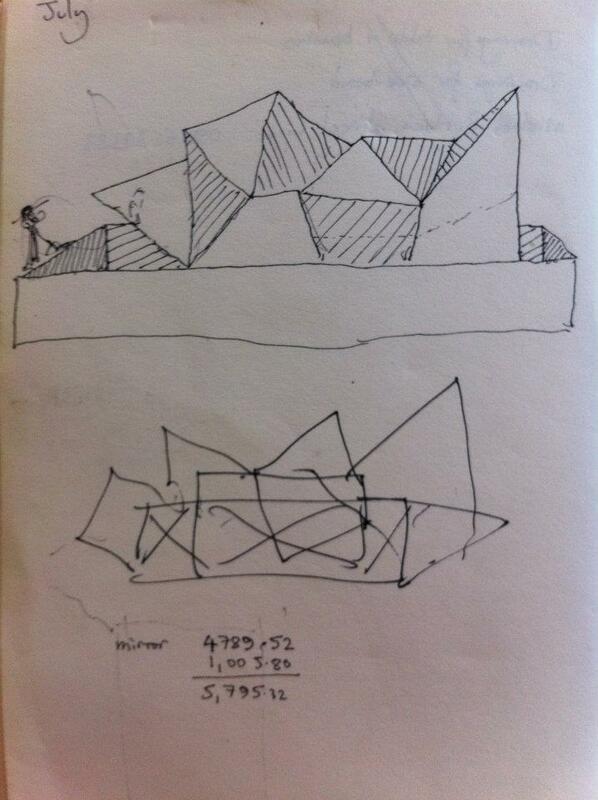 With these parameters set we modelled the complex sculpture and planned the construction with a three week lead in time. 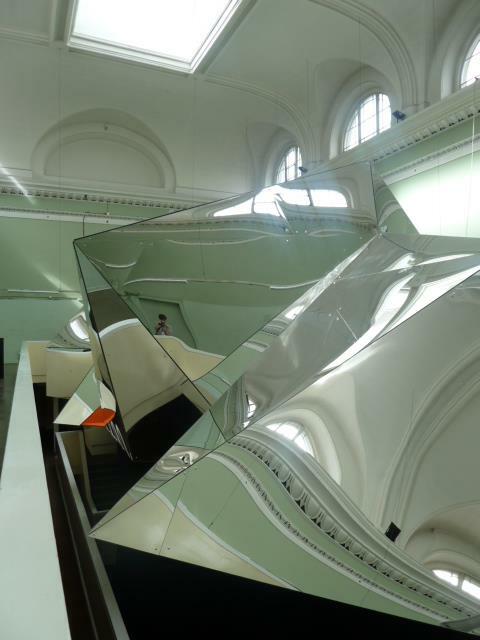 The product was a visually inspiring sculpture that was more about filling a hole in the exhibition than any real deeper meaning.